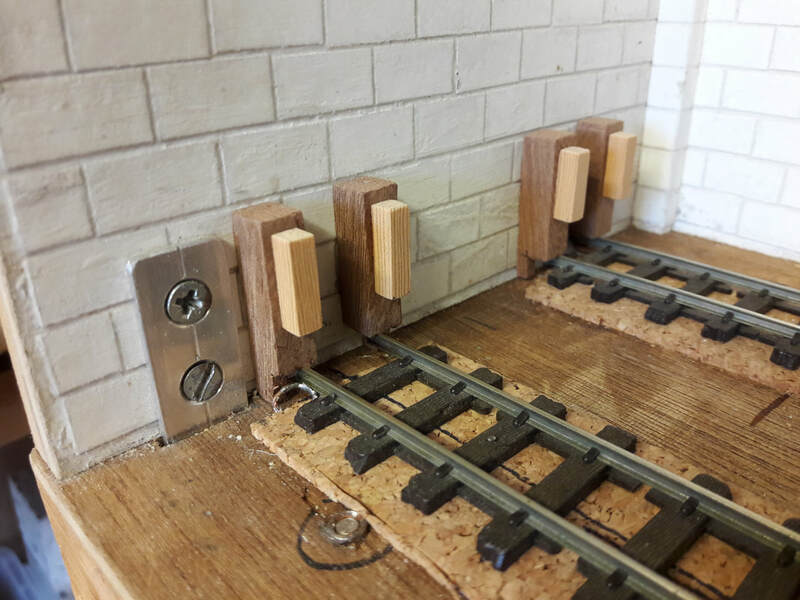 Initially, the two main sidings were not given too much thought, but once wagons were built and shunting tested, a system evolved. The siding along the wall was designated for temporary storage with the closest being the main exchange line. At first this was deemed a tight space, but the regularity of the wagons meant that a loading dock was feasible and loose blocks of timber were experimented with. Eventually, these were glued together and edging stones added. The the same time, wagons were found to be very free-running and would frequently crunch into the end wall. A brake system is obviously required, and ideas will be developed. 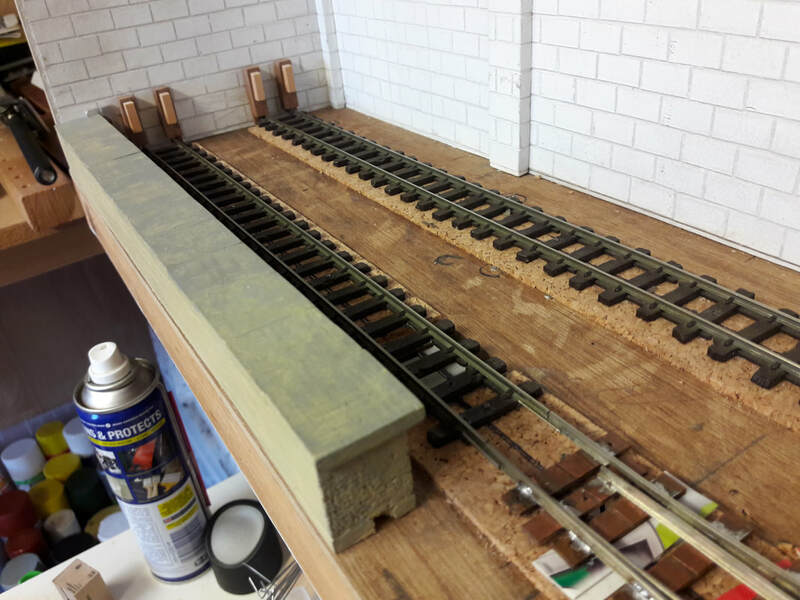 In the meantime, to prevent damage to the couplings, a buffer was developed.